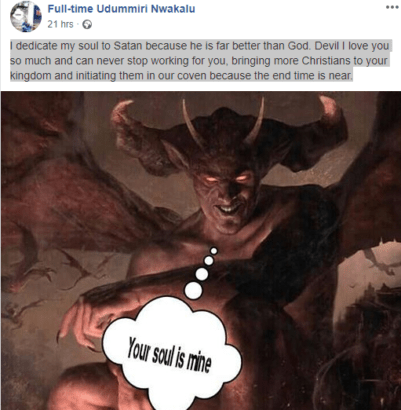 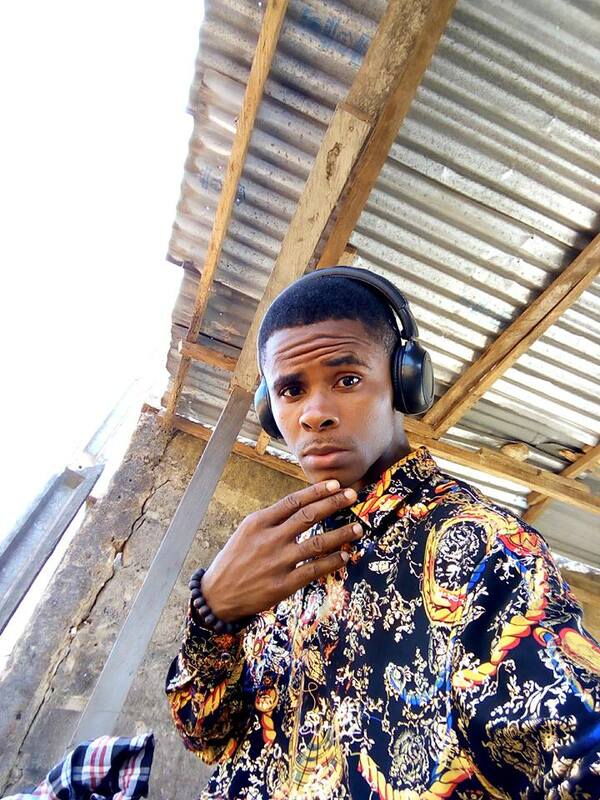 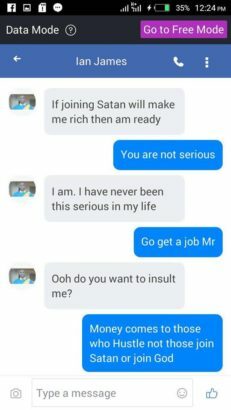 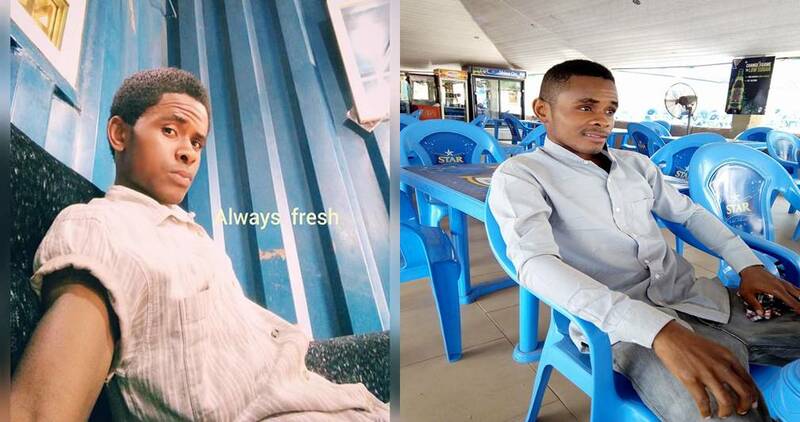 A Nigerian man simply identified as Full-time Udummiri Nwakalu on Facebook, has taken to the platform to announce that he is dedicating his soul to the devil, who he claim is better than God. 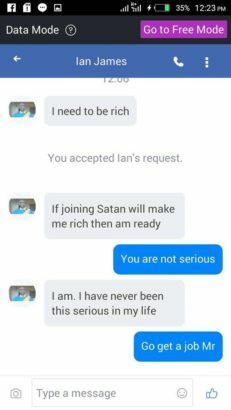 I dedicate my soul to Satan because he is far better than God. 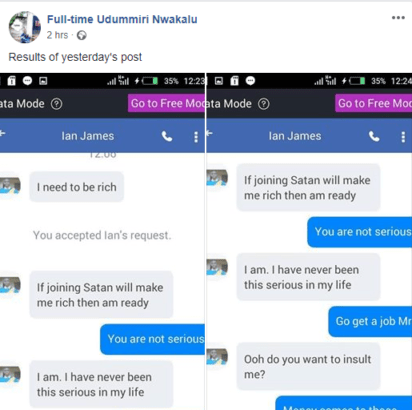 Devil I love you so much and can never stop working for you, bringing more Christians to your kingdom and initiating them in our coven because the end time is near.